One of my blog readers sent email to me to ask how to solve the problem “Register Techstream Software” of his crack Toyota Techstream. 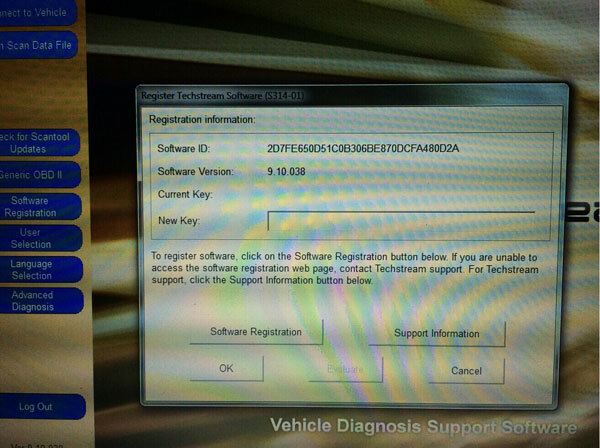 When register Toyota Techstream software, the system pops out the following error message: “To register software, click on the Software Registration button below. If you are unable to access the software registration web page, contact Techstream support. For Teachstream support, click the Support Information button below”.